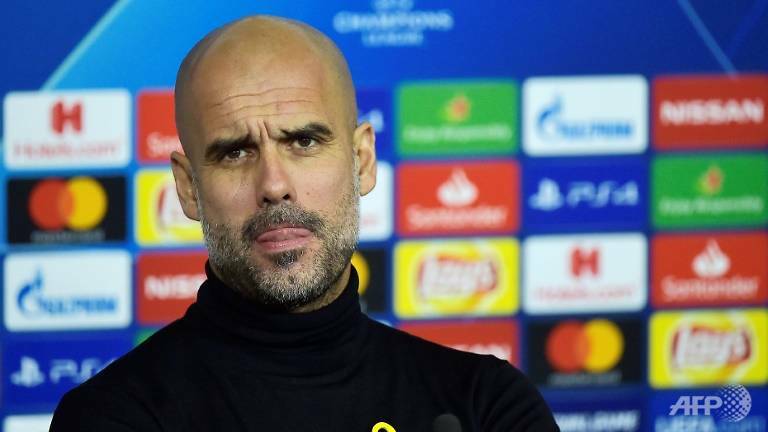 Manchester City manager Pep Guardiola hopes a swift conclusion to UEFA's investigation over alleged Financial Fair Play (FFP) irregularities committed by the Premier League champions will silence the speculation surrounding the case. UEFA president Aleksander Ceferin said after an Executive Committee meeting of European football's governing body on Monday that an independent body looking into the allegations made by German magazine Der Spiegel as part of their Football Leaks campaign would provide answers "very soon". Reports on Tuesday claimed City could even be banned from next season's Champions League should they be found guilty. Guardiola insisted the story hasn't been a distraction to his players, as they moved five points clear at the top of the Premier League on Tuesday with a 2-1 win at Watford. However, the Catalan coach is hoping for an end to what he described as "voices" surrounding the club's business. "If UEFA found something the club will make a statement and I'd like to do that because we will know exactly and to finish with these voices," said Guardiola. "We will know if we did something irregular and if we didn't do something irregular, the people is going to finish talking about it." It is claimed City bypassed UEFA's FFP rules, designed to restrict the losses clubs can make and therefore lavish spending on player transfers and wages, by allowing their Abu Dhabi-based sponsors to make cash injections and backdate sponsorship contracts. A member of the Abu Dhabi ruling family, Sheikh Mansour, has owned City since 2008, transforming the club by investing billions of pounds in players and the club's facilities. In a repeated statement City said they would not comment on what they described as "out of context materials purportedly hacked or stolen from City Football Group and Manchester City personnel and associated people".